Besides the difficulty of travel abroad during Soviet times, movement within the country was also restricted. Estonia had 1,565 closed military features in 800 sites, taking up a total 87,147 hectares, including entire cities like Paldiski and Sillamäe. This made up nearly 2% of Estonian land area. 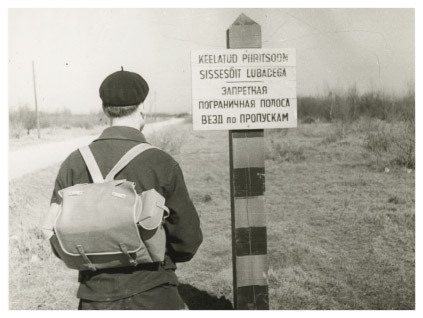 The border zones – islands, the entire north coast and much of the western Estonian coast – were also closed. Outsiders had to apply for a permit to enter these zones. Even coastal dwellers were not allowed to put out to sea. Foreigners were not allowed to spend the night in Tartu, as a long-range bomber air force base was located on the outskirts. 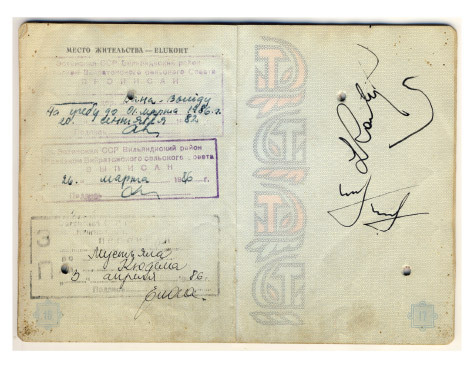 A BORDER ZONE PERMIT ISSUED BY MILITSIYA WAS REQUIRED FOR ACCESSING THE BORDER ZONE. THE PERMIT USUALLY WAS GOOD FOR ONE YEAR. 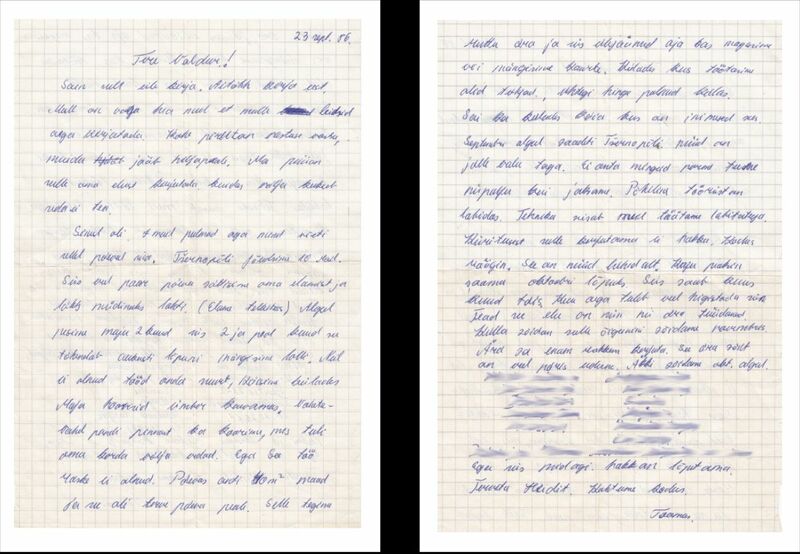 PEOPLE LIVING IN BORDER ZONES HAD A STAMP IN THEIR PROPISKA. THE OFF-LIMITS BORDER ZONE. 1959. PHOTO CREDIT: L. ODRES. In the Soviet Union, all of society was militarized. Future conscripts were groomed for active duty in their early youth. 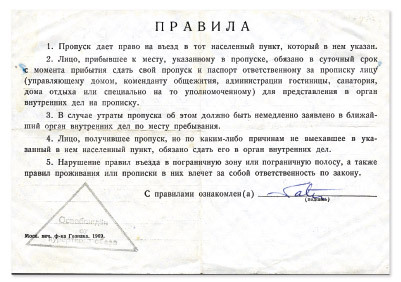 Conscription was preceded by training in youth organizations and activities via DOSAAF in military and athletic fields: parachuting, shooting ranges, diving, orienteering, car and armoured vehicle driver’s courses, radio technical preparations etc. Those subject to being called up for duty underwent extensive military basic training. The instructors were reserve or retired officers. The training was in Russian. Colleges and universities had military training departments where reserve officers were trained (female students received medic training). Russian-language military training took place for one day a week over a period of initially four years, later three years. The course ended with a military camp of two to three months. Those who graduated from higher education institutions were given the rank of reserve lieutenant. Currently, national defence is an elective at Estonian schools, aimed at teaching students the tenets of patriotic responsibility, respect for country and knowledge of the aims of Estonia’s national defence. Students gain useful knowledge and skills that they may need even if they are not directly involved in organizing national defence. Physical education was an inseparable part of communist upbringing. 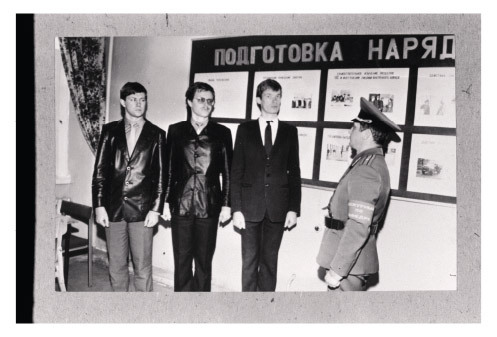 Its aim was to instil Soviet patriotism in youth and prepare citizens for defending the country. 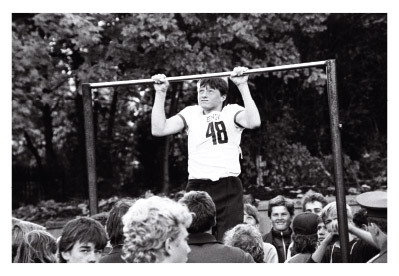 Standards for physical aptitude were established for each age group. Companies and organizations had obligatory competitions, and running and skiing events for qualifying for these standards. 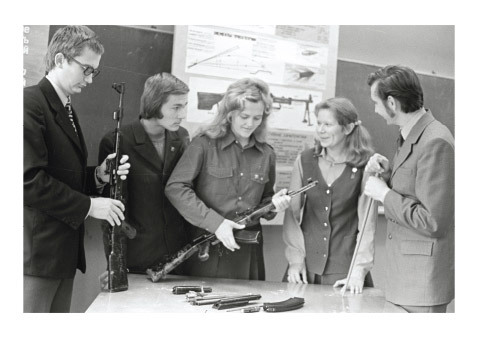 The pan-Soviet physical culture classification “Ready for work and for the protection of the USSR” was a training programme used in the Soviet Union. It was introduced in 1931 and it existed until the Soviet Union collapsed. VTK was a supplementary part of the all-Union sports classification. At universities, physical education was compulsory in each of the first four years of study. Every institution of higher education had a physical education and sports department. 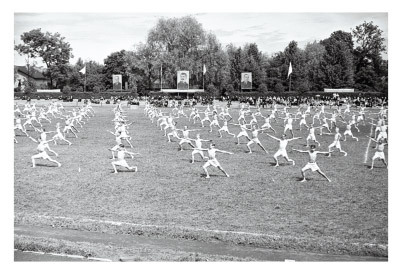 A MASS BOYS’ GYMNASTICS EXERCISE AT THE SUMMER SPORT TOURNAMENT FOR SCHOOLCHILDREN IN 1951. 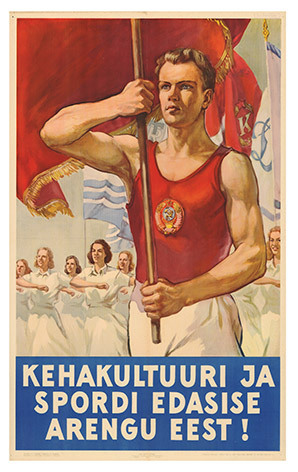 A SOVIET ESTONIAN SPORT TOURNAMENT FOR THOSE SUBJECT TO BE CALLED UP AS CONSRCIPTS. TALLINN. OCTOBER 1987. PHYSICAL EDUCATION WAS AN INTEGRAL PART OF A COMMUNIST UPBRINGING. PHOTO CREDIT: A.VIIDALEPP. 1953. The Soviet Union mandated general compulsory military service, with no alternate service option available. Those who refused to serve (conscientious objectors from certain religious organizations) were imprisoned. 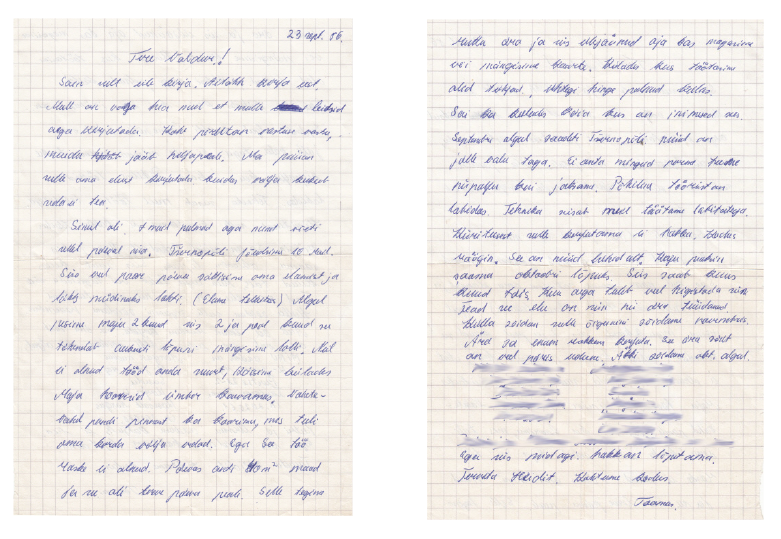 To evade duty, some feigned psychiatric problems, but these could later prove an impediment to entering university or applying for a driving licence. Reservists who had completed conscription were often used as unpaid workforce at reservist exercises and for civilian protection purposes. For instance, reservists were deployed in 1986 to clean up the aftermath of the Chernobyl nuclear power plant disaster. 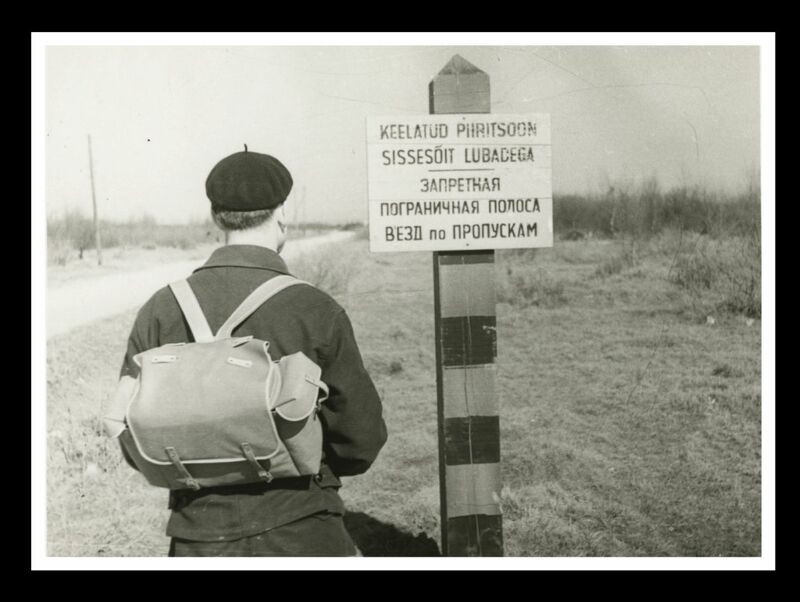 Up to 1956, Estonians could complete their service in Estonia, but after the national units were abolished, conscripts were sent all over the USSR (generally outside their home republic) and even outside the Soviet Union to conflict zones (Hungary in 1956, Prague in 1968, Afghanistan in the 1980s). 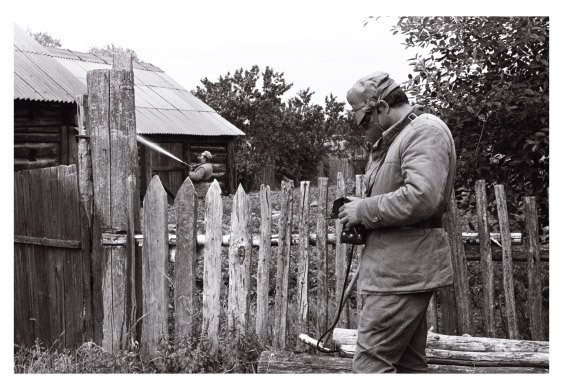 Russian was the language of command and communication in the Soviet Army, which many Estonians were not proficient in. Extralegal traditions like dedovshchina, hazing by older soldiers, were common, as were interethnic conflicts. 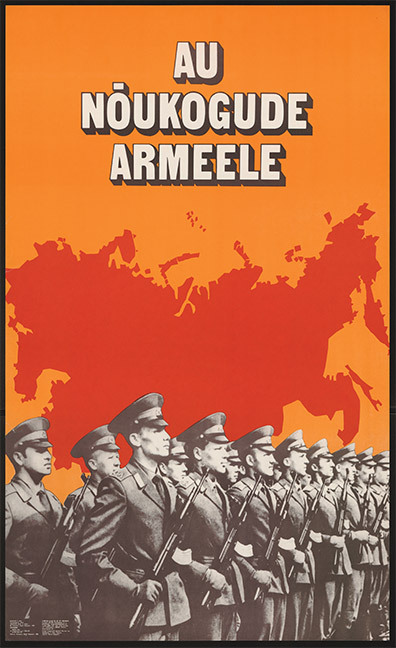 THE MILITARY WAS HELD IN HIGH REGARD IN THE SOVIET UNION. PHOTO CREDIT: T. ARU, 1981. Reservists were called up from Estonia to clean up Chernobyl after the disaster. The Estonian SSR’s head of civilian protection, Vello Vare was the head of the staff that oversaw the cleanup effort. The individuals sent to clean up the disaster site were not briefed on the radiation risk.